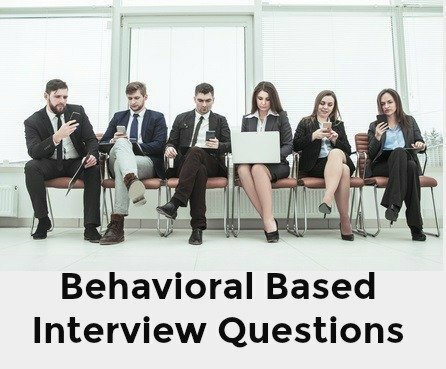 Behavioral based interview questions are frequently used by companies to determine if the candidate demonstrates the behavioral attributes that are important for the job opportunity. Behavioral interview questions ask job candidates to provide an example of when they previously displayed the behavior or competence. There are a number of behaviors that have been identified as key to successful job performance across a wide range of career fields. We list the behavioral interview questions that assess these 7 common job-related competencies and show you how to provide winning behavioral interview answers. 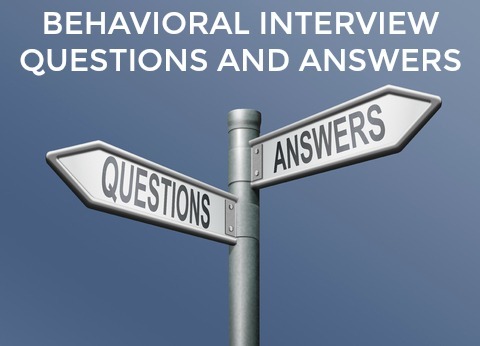 Each behavior has a number of different questions that can be asked with sample behavioral interview answers. The ability to plan and organize tasks and responsibilities to achieve objectives accurately and on deadline. Tell me about a recent short-term plan you developed for your team. How did you plan your activities for this week? Tell me about a situation where you had to handle conflicting priorities. How did you schedule your activities? What processes have you used to control backlog in your work? What objectives did you set for the last six months? How have you monitored your progress towards these objectives? Tell me about a time when you had to meet a challenging deadline. How did you manage your workload? The ability to identify and analyze a problem and determine an appropriate resolution. Describe a complicated problem you recently had to handle in your job. What steps did you take to understand and resolve the problem? Tell me about a situation where you had an issue with a team member. How did you resolve it? Tell me about a recent success you had with sorting out a customer complaint. Tell me about a time that you identified a problem that had escaped your manager's attention. Describe a time you were caught unaware by a problem. What did you do? Describe a situation where you had to utilize a number of different resources to sort out a problem. The ability to listen actively and express oneself effectively and clearly both orally and in writing. Describe a time where you were able to resolve a conflict situation using your communication skills. Tell me about a situation where poor communication led to poor work performance. How did you correct the situation? Describe a situation where you had to persuade a co-worker or manager to accept your idea or proposal. Tell me about a recent time when you had to express your ideas in a meeting. How did you get your point across? Tell me about a recent time when you had to give feedback to someone after they performed poorly. Describe a time you could not complete a task because you had insufficient information. What did you do? The ability to work effectively with other employees to contribute to the achievement of organizational objectives. Tell me about a time when you had to handle conflict within a team. What steps did you take to improve things? Describe a recent team experience that you found personally rewarding. Give me an example of a team decision you were recently involved in. What was your contribution? Describe a time you went out of your way to provide help to a co-worker. Tell me about how you established rapport with a new member of your team or department. Tell me about the most effective contribution you have made as part of a working group. The ability to set high performance standards for oneself and make the effort to achieve these standards. Tell me about a recent project you accomplished that you are proud of. Describe some ways you have made improvements to your work processes. Describe your biggest achievement at XYZ Company. Tell me about a time you had to persevere to overcome a difficult obstacle to achieving your objective. Describe a time you had to re-do a piece of work. What happened? How do you define success in your work? Give me an example. The ability to make rational and realistic decisions based on logic and factual information. Tell me about a time you had to make an unpopular decision. Tell me about a time your knowledge of a client helped you to make a decision. Describe a recent decision you had to make quickly. Tell me about a time you had a number of alternatives to choose from. How did you go about choosing one? Tell me about a time you asked for help in making an important decision. Take me through the toughest decision you had to make in your last job. The ability to be effective and productive in different environments, with different responsibilities and with different people. Describe a situation in which you had to adapt to changes beyond your control. Tell me about a time you adjusted your approach when it was not meeting with a success. Describe a time when you had to take on some of a co-worker's duties. How did you react? Tell me about a time that the priorities on an assignment or project you were working on suddenly changed. How have you managed it when your schedule was disrupted by new demands? Have you ever had to change your working style to accommodate your supervisor or manager? What did you do? How do you prepare for a behavioral interview? Behavioral Based Interview Questions for managers. 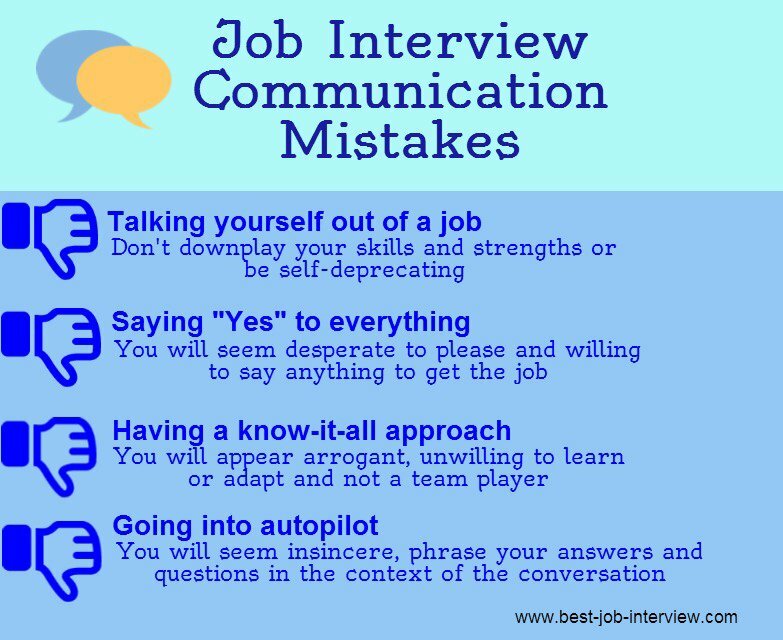 Communication skills are key to success in a behavioral job interview. Find out more about good interview communication skills. The 12 core competencies required for positive job performance across most career fields.